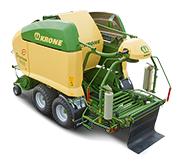 The New Comprima V150XC Xtreme balers are designed around krone’s original Comprima series. 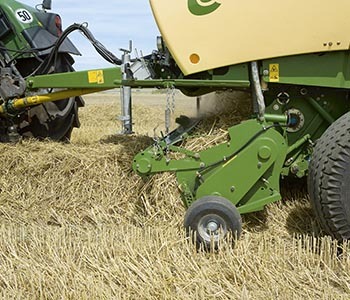 The Xtreme balers are capable of produce up to 10% heavier bale weights or 10% increased productivity than a standard comprima. To increase productivity the bale chamber components have been strengthened to match the performance. The Xtreme range of balers comprise all the great feature that you have come to love and more. 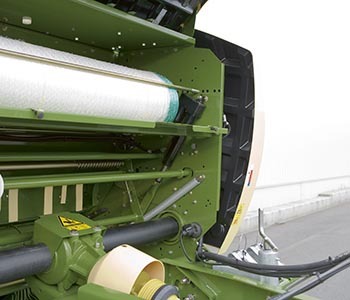 These balers are ideally suited for farmer and contractors alike. Tool free adjustable gauge wheels on either end of the pick-up caster on pneumatic tyres and adjust in height for excellent tracking. Simple and easy to unblock, equipped with drop floor the floor lowers so the rotor blockage can be cleared through. With a large rotor diameter of 530mm the feed rotor provides a duel purpose of catting the material while also pre-compressing. 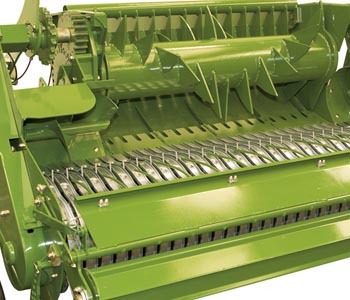 Xtreme balers come standard with 17 knives that are narrowly spaced at 64mm providing easy bale breakup and spreading. Features 3 rows of welded tines in a V formation to help provide a continuous cut and helps spread the material uniformly across the chamber. The 530mm rotors are driven by massive spur gears to handle the highest of loads for reliable performance. Knife removal is simple and time effective with no tools required, just simply remove the knife from the chamber. You can select specific sets of knives for various cutting lengths without having to remove individual knives for operator convenience. You can select 0,8,9,17 knife cut settings. 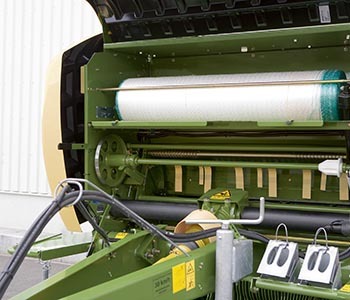 NovoGrip belts are a 1/2″ wider then Comprima standard balers and come with 30,000 bale/ 3 year warranty. 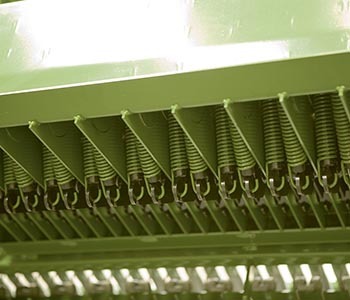 Two belt and slat elevators that wrap the entire bale from the core providing excellent bale feed and density. 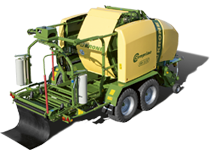 Are capable of producing bales from 0.9-1.5m on the V150XC Xtreme. With 1½” strong drive chains they can withstand the highest of loads and feature spring loaded chain tensioners to reduce maintenance and enhance service life. 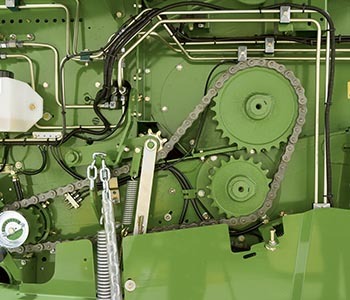 With automatic chain lubrication system you minimises maintenance costs increasing effectiveness. Daily servicing made easy with consolidated lubrication banks on the baler. 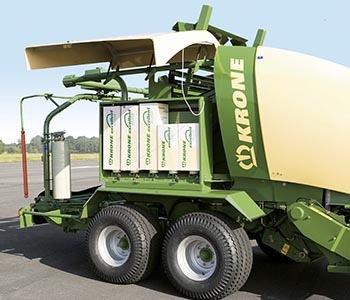 As of 2016 Krone will now have the option of equipping all Comprima balers new and old with Film wrap, this enables film to be placed onto the circumference of the bale instead of net when baling silage only. 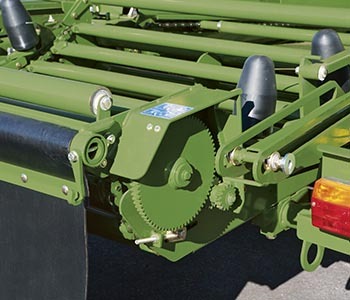 Baler automation, Stops the tractor and opens and closes the tailgate. Only works on selected tractors with TIM systems. Hydraulic knife selection, select the full of half number of knives from the tractor and chop the crop to the length required.